On a trail of danger, love follows no set path.­Traveling west aboard a wagon train with her late husband’s family, young widow Marybeth MacKender wishes only to leave behind the memories of her loveless marriage, and to protect her infant son. But the dangers of the train are endless, as are the advances of her brutish brother-­in-­law who is resolute in claiming Marybeth as his own.­It isn’t until Marybeth meets Joshua Rivers, a frontiersman both tough and tender, that her hope for the future ignites as brightly as the desire in her heart. With courage aroused by passion, Marybeth is determined to face the perils of this rugged terrain for Joshua and the love she feels as great as the odds stacked against them. The American Civil War plunges Zeke and Abbie Monroe into violence and separation, danger and torn loyalties. Their first-­born son, Wolf’s Blood, takes part in the Sun Dance, a tortuous ritual that initiates him into life with the Cheyenne. Then war forces Zeke to leave his family to join his white brother, Danny, in the conflict. Abbie is left to face a horrible fate at the hands of Zeke’s worst enemy while he is gone. For the first time in their beloved marriage her strong, brave, warrior husband is not there to protect her. When Zeke returns to learn her fate, the worst violence in his savage soul rages forth to seek sweet revenge. Zeke and Abbie’s love transcends loss and tragedy thrown at them by savage people in a savage land that can be tamed by only the bravest souls. Embrace the Wild Land is the fourth book in Bittner’s Savage Destiny series, and one that has been out of print and unavailable for many years. Now you can own it through a download to your . . .
A man who must choose between his love or his life in this dazzling tale, named a Romantic Times Book Reviews All-­Time Favorite.­Rachel Rivers is the most beautiful woman that Brand Selby has ever met. From the moment he laid eyes on the proper schoolteacher and watched her tremble beneath his longing gaze, he knew he wanted nothing more than to win her heart.­But Rachel lives in a land where hatred for the Indian runs deep, and where she is courted by Texas Ranger Jason Brown, Brand’s sworn enemy. But the fate of Rachel and Brand’s love has already been sealed, and not even the prospect of Rachel being cast out from her own kind, nor the threat of Brand’s own demise, can extinguish the flames of desire in their hearts. 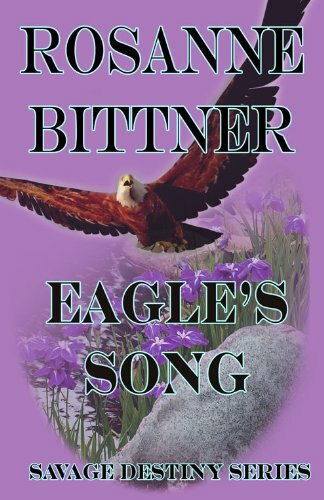 Eagle's Song is the final book in the Savage Destiny series, taking readers into the lives of Zeke and Abbie's children and grandchildren. 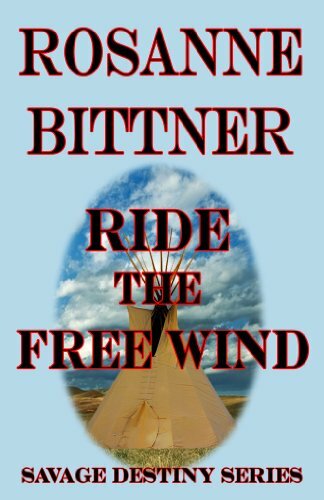 This very moving story depicts the emotional end of an era for a once wild and free People, America's Native Americans, and the sometimes traumatic changes in the American West as civilization moves in to tame a lawless land. With this progress and the discovery of gold, the Monroe descendants find amazing success and happiness. But through it all Abigail Monroe lives with precious memories and a deep faith that carry her into old age and eventually back into the arms of her beloved Zeke as they walk into the past and leave the future to their grandchildren and great grandchildren. 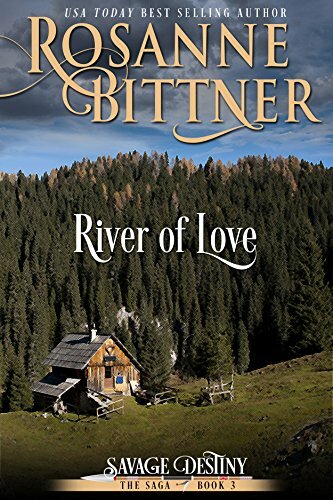 Their love will live on forever in the hearts of the family members ... and in the hearts of all those who read this series.­PRAISE:­“Power, passion, tragedy, and triumph are Rosanne Bittner’s hallmarks. Again and again, she brings readers to tears.­” —Romantic . . .
“Power, passion, tragedy, and . . . The Sax dynasty continues as the family saga moves from Texas to a new life in the wild and dangerous land of the West. Caleb’s son Tom rides the outlaw trail to search for men who killed his Mexican wife, and Caleb’s grandson grows up to marry a Cheyenne woman, returning to the life that Caleb left so long ago. Yet Caleb’s youngest son resists his mixed blood and goes to great lengths to hide his Indian heritage. Through stunning changes over years of settling the West, Caleb and Sarah’s love and passion for each other becomes the glue that holds their family together through tragedy and triumph. And all his life Caleb keeps the blue quill necklace his long-­dead mother made for him, reminding him of his Indian blood and the Indian name he never forgot – Blue Hawk. Destiny’s Dawn brings this trilogy to an unforgettable ending that will stay with readers long after they finish.­PRAISE:­“Power, passion, tragedy, and triumph are Rosanne Bittner’s hallmarks. Again and again, she . . .